Direct Glass coloured glass splashbacks are available in over 100 standard colours and we are able to colour match almost any colour to suit your decor and design. 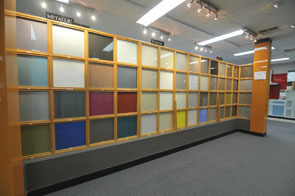 Visit our showroom in Balcatta for a full range of real colour samples available to take home. For example the Dulux Colour Chart – match your new coloured glass feature with the rest of your colour sheme.